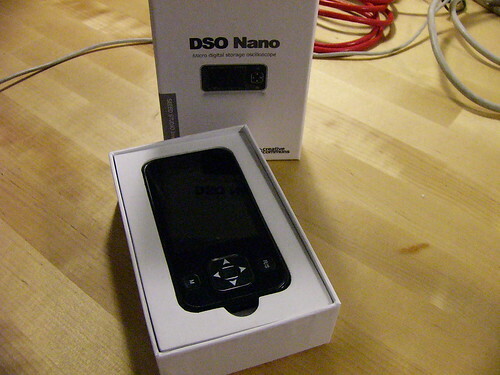 I received my DSO Nano from Seeed Studio a couple days ago. 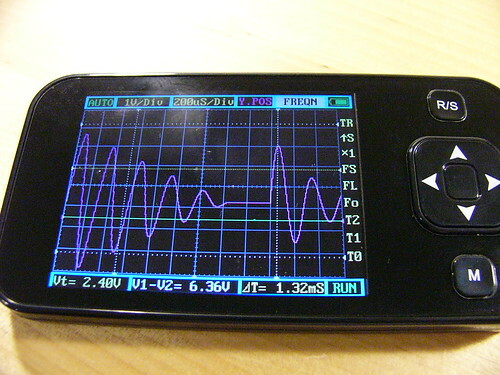 It’s a digital storage oscilloscope with the form factor of a cheap media player. 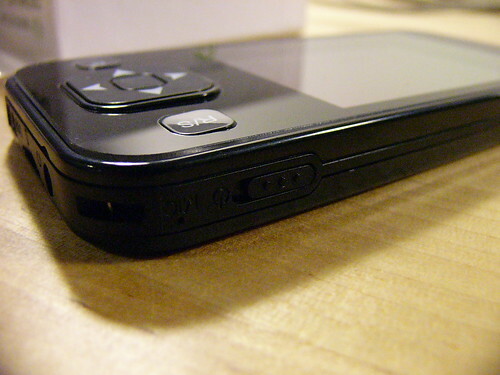 Justblair has an excellent review of the device. Blair had a beta version of the device though so I wanted to document the very few changes present in the production version. 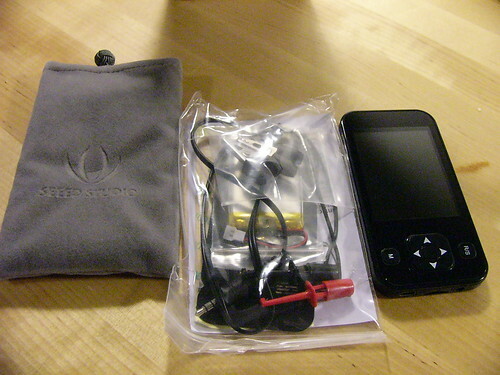 The packaging for the device is excellent. It’s a clear knockoff of iPhone style packaging and although the quality isn’t quite Apple good it’s refreshing to see an open source device with such a nice box! 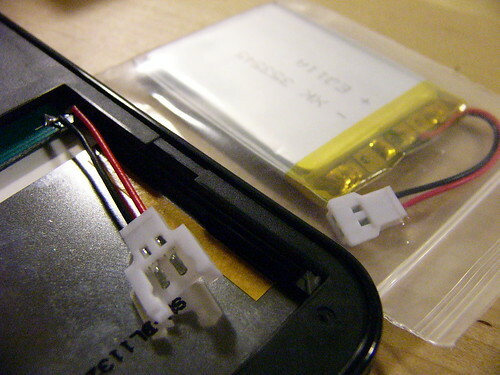 The battery still requires user installation, but it now has a plug so soldering is no longer required. Blair’s unit didn’t have the on/off slider; this one does. The provided probes are round hook style and not the tweezers that came with the beta. Ian discussed the two different styles in his Bus Pirate cable How-to. The DSO also comes with a pair of loose alligator clips. Finally, they’ve added a nice embossed storage bag for keeping everything together. It is a great toy! 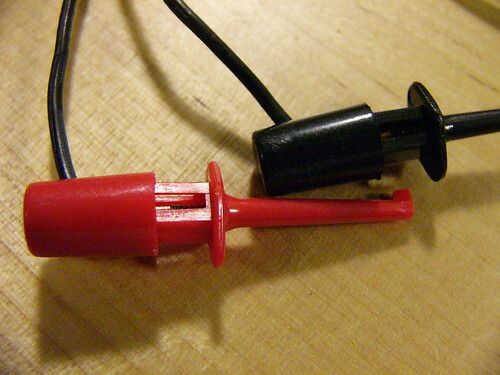 I have it from hwkitchen.com, they even provide a cable reduction for BNC probe now. Rated 80Vpp. I’m new to scope, can it measure sine wave off AC 120V, 60Hz of an Inverter? I understand that a probe needs to have a x1 and x10 switch to up the magnitude by 10 times, ie. 80 x 10 = 800V. Does this unit’s PROBE has a x10 switch? No, it doesn’t have an x10 probe switch although some people have hotwired their own modding either Tektronix probes or making a mini-plug to BNC adapter.